It is easy to take a screen capture of what is on your computer screen and an article on how to take a screenshot may seem silly to many people. 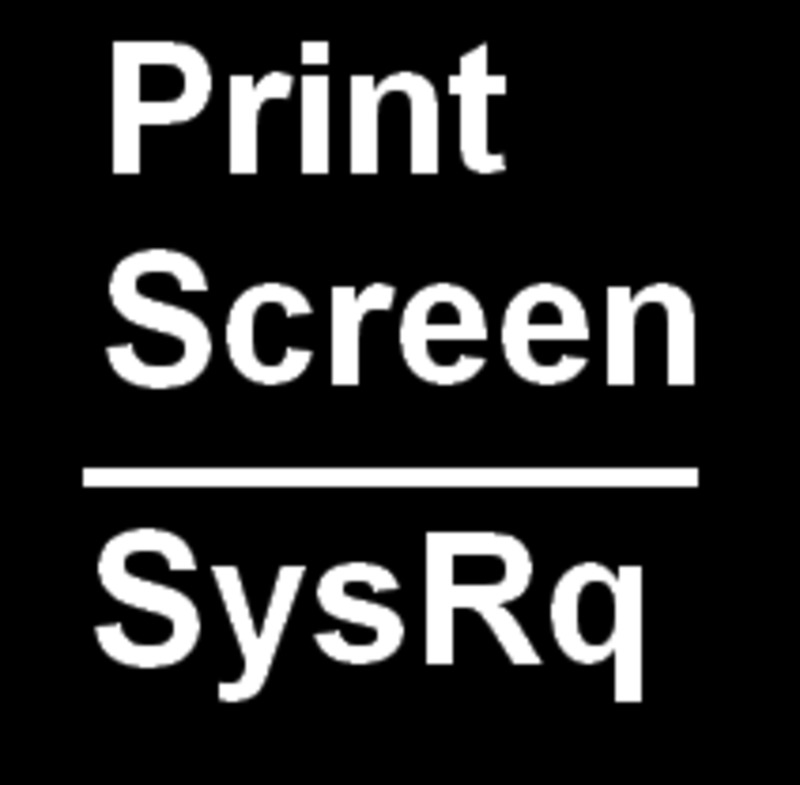 To take a picture of what is on your screen, just press the key PRINT SCREEN, usually PrtSc or PrtScn, on most keyboards. In some keyboards, you may need to press two keys, Ctrl+PrtSc. You can then paste the image capture on Paint and perhaps use it elsewhere – perhaps as an attachment to an email, post it on forum for a discussion, or send it to your finance manager over wrong entry of funds in your account, etc. Most users of computers will easily do that. The problem is, and you will notice it in many forum posts, is that the image posted is usually too small to be of any help. Image below is very small and lots of empty spaces. The Image is very small and lots of empty spaces. This is the Wrong Way to Take Screen Capture and Re size a Portion of Screenshot Image. Let’s identify this problem carefully so that we can be able to solve it. 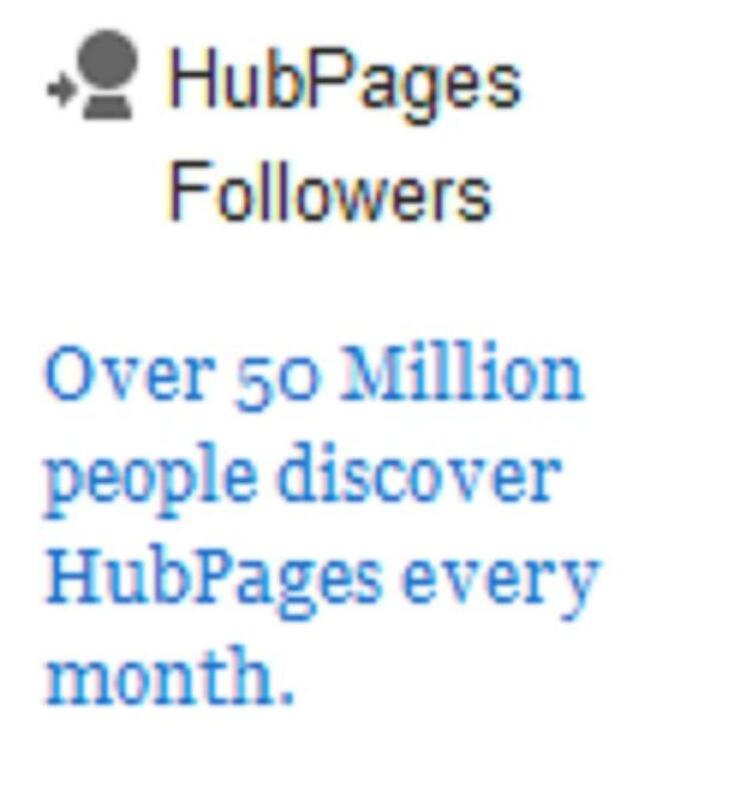 Look at any hub page that you may open. 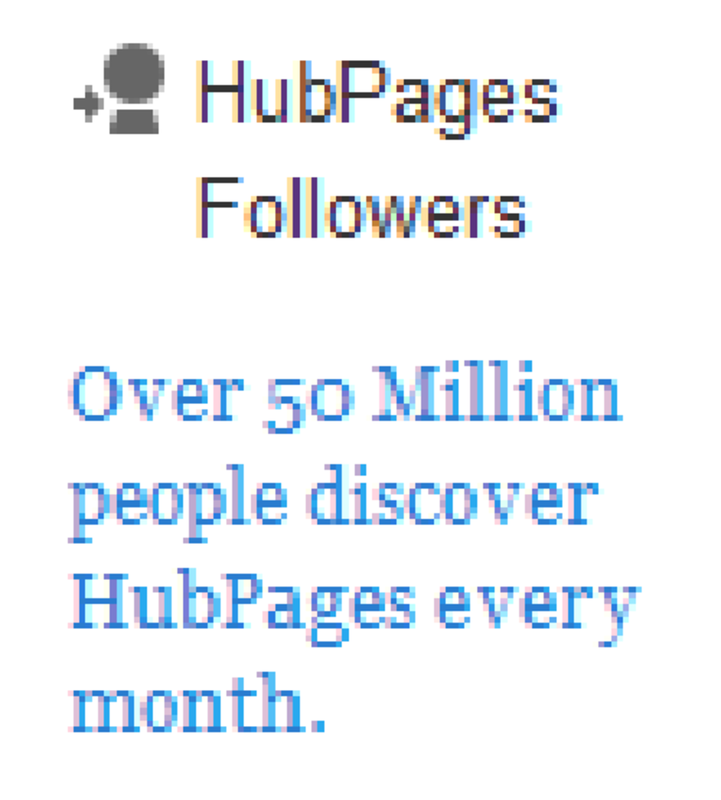 On the right side, in the middle, you have the following prints: “HubPages Followers - Over 50 Million people discover HubPages every month”. Let’s assume there is a problem there and you would like to discuss it in your article or by posting in a forum. It can also be your personal online account statement, Amazon Account, Adsense Account, Stock trading account, etc, that you would want to discuss with other people. Obviously, your account statement is confidential and you can only send just a portion of it for discussion on the public forums. 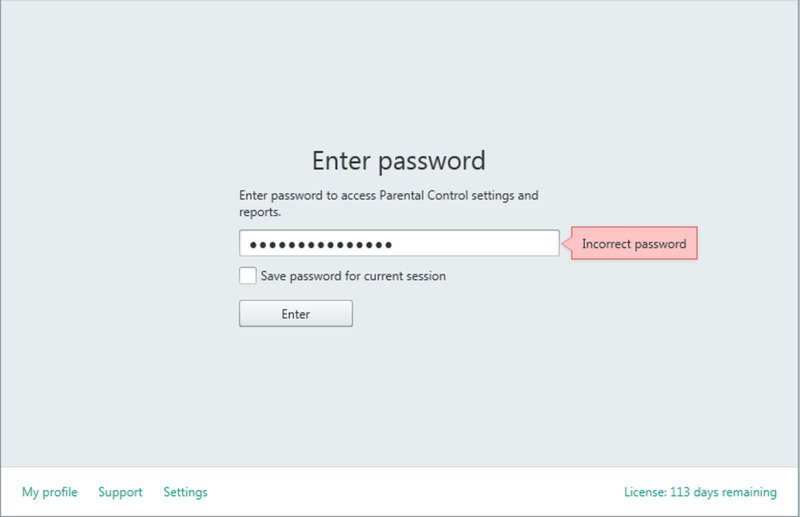 What you will need to do is to take a screenshot image of that page and select that portion in question, copy and save as an image before uploading to the discussion forum. 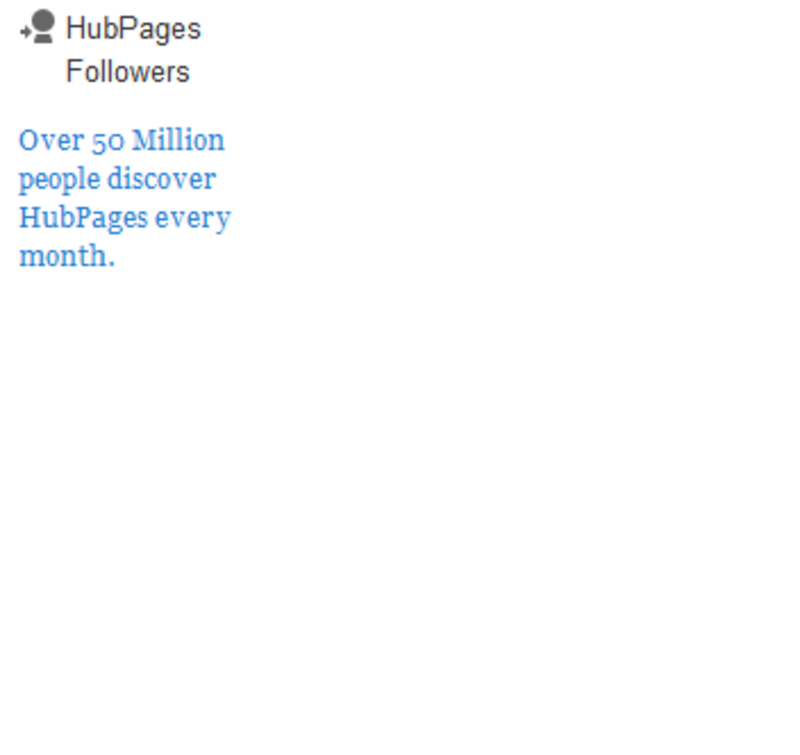 Below are two images showing that part of hub page. One is done the right way and the other one is wrong because the image appears very small. So, we now know the problem, and we do know how the answer to expect should look like. How do we solve the problem? How do we resize screenshot image? In a literal sense, print screen would mean to print what is on the entire screen. But it means screen capture, screenshot or just to take a picture of the screen. To print to your printer what is on a page, just press the keys Ctrl+P. 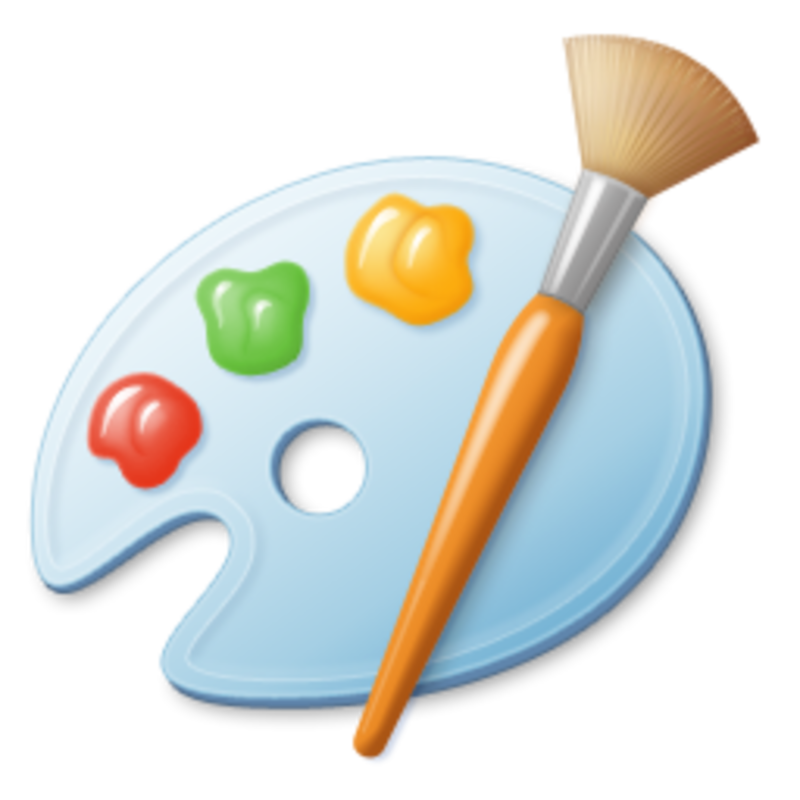 To proceed, we need a simple graphics painting program called MS Paint or Microsoft Paint which is always included with all versions of Microsoft Windows. To open MS Paint in your computer, go to the Start button icon of the Start button, click All Programs, click Accessories, and then click Paint. 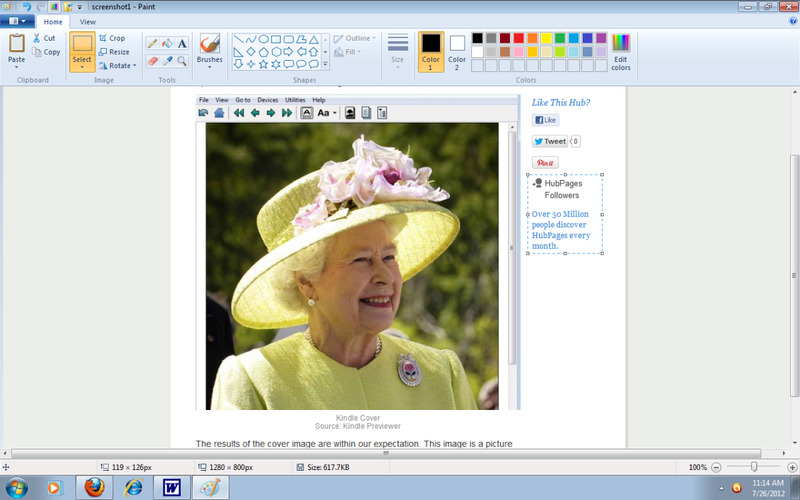 In this example, we are using MS Paint Widows 7 and latter versions. Select the portion of the area needed as shown in the image. Your image once uploaded in your article should look as shown in this image. This is a PNG image. 2. By use of the select button, select the portion of the area needed as shown in the image. 3. Right click on the area selected. Then select resize. A resize and skew widow will pop up. On that window select pixel. Change the pixel to at least 500 on the shortest side. 4. Right click the resized part of the image and select copy. 5. On the open MS Paint, go to the top right button (file) and select ‘new’. A pop up widow will appear asking you to save the already open image which you have on Paint. Select don’t save. Then click paste and your resized image will be pasted on the new screen. 6. Save the image as file type PNG. PNG preserves more details than jpeg files. If where you would like to upload your image to is a website that does not accept PNG type of files, then, you would have to reopen your file again and save it in a jpeg format before uploading. 7. That is the image file you upload for your forum post or as an attachment to where you would want to share it. Your image once uploaded in your article should look as shown to the right, and that is the right way to present your image. Right Way to Resizie a Screenshot Image from Old version of MS Paint. This is a JPEG image. With a hub page open, press PrtSc key and paste on the open old MS Paint widow. By use of the select button, select the portion of the area needed as shown in the image. Right click on the area selected. Select ‘copy to…’ and save it as type 24-bit bitmap. On the open MS paint, go to the top right button (file) and select ‘new’. A pop up widow will appear asking you to save the already open image which you have on Paint. Select don’t save. Then click open to open the bitmap file you have saved. Go to the button ‘image’ and select ‘stretch / skew…’and a stretch/skew widow will pop up. On that window select stretch. Change each of the vertical and horizontal percentage from 100%, to say, 500%. Save the image as file type jpeg. Saving in PNG may not work in this case. JPEG images will lose some details in comparison to PNG images. Any website will accept files of JPEG format. Shown below is the image file made using the old version of MS Paint. Upload this JPEG image to your forum post or send it as an attachment to wherever you would want to share it. That’s it. Taking a screen capture - print screen – resizing screenshot image may seem easy and silly, but it seems thousands of people are having problem resizing screenshots for use when posting on forums. If you have liked this article, and you would want this page to keep up and improved, you can help in any way you can. A free way to help would be to link back to this webpage from your web page, blog, or discussion forums. Let’s assume you have saved your photo in local disk C:/pictures download. Open MS Paint and go to C:/pictures download. You should now be able to see an icon of your picture. Do not open the picture but right click on it, then select edit. When you are on edit, select resize, then select pixel. Insert the smallest side to have at least 500 pixels. Then save the image as jpeg. The image you save is what you upload to your forum post. Hi ngureco, This is good information, much appreciated. I have a different image sizing problem. Trying to post a photo in a forum thread as we speak, not a screenshot, just a regular photo from my computer. Even though the resolution is really high the photo appears quite small in the post. Wondering how to make it larger? Thanks. Good and useful article. Will be useful to show people what you are working on by sending the image.